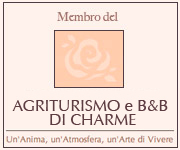 Weekly camps for children in the hearth of Tuscany. Riding holidays for all the family. From June to the end of July the Horse Riding Centre organizes camp weeks for children from 7 to 16 years. The week commences on a Sunday afternoon and finishes on a Saturday afternoon with a final show. The week is ideal for children who love animals and in particular horses, learning to live in a group, and learning to respect the rhythm and rules while enjoying themselves. We have organized holidays for children since 1992, the children sleep in a twin or 4 bedded rooms, with a bathroom. The maximum of participants is 12. The lessons, obviously, are divided by level of experience and don’t hide the emotion of the horse rides. Our children Summer Camps are over very successfully. "Very well organized and amazing. I learnt a lot! I'll come back for sure"
"There's nothing to change about this Program. Ridings and afternoon activities are very well done!" We offer a discount of the 10% if you take 2 weeks consecutively.